Breast cancer is the most common malignancy in females. Common sites of metastases include the liver, lung, bone, and brain, while metastases to the extrahepatic digestive system are very rare. This report presents a patient diagnosed with breast carcinoma metastasis in the terminal ileum. The patient underwent breast-conserving surgery on both breasts because of breast cancer at the age of 46 years. Both breast cancers were consistent with stage I invasive ductal carcinomas. Colonoscopy during an investigation for hematochezia revealed a 2-cm ulceration in the terminal ileum 22 months later, and microscopic examination of a biopsy specimen of the ulceration revealed a poorly differentiated mass that was strongly suggestive of metastatic adenocarcinoma with endolymphatic tumor emboli. She underwent hand-assisted laparoscopic ileocecectomy because of ileal metastasis. She had a family history of breast cancer (sister) and colon cancer (brother). She exhibited HER2/neu discordance and carried the BRCA2 gene mutation. 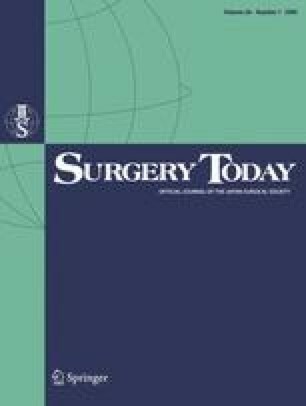 Surgeons should remain aware that breast cancer can metastasize to the gastrointestinal tract.